In both Estepona and the rest of Malaga car hire is one of the most practical means of travelling around during the holidays. Unfortunately, public transport is not always available, and nor does it reach all the places where it is wanted or with the required frequency. Hiring a car is the most affordable and comfortable option, and the one that best suits all plans, allowing you to make the most of your time, without the waits and limitations of public transport timetables. Among the towns and cities you will find on the Costa del Sol, Estepona stands out for its typically Andalusian appearance, with streets adorned with striking flowerpots and very lively plazas with a fantastic range of gastronomy. If you book your car hire in Estepona with Espacar, you will enjoy an excellent all-inclusive service, with the best price, no hidden charges and no middle-men. Espacar also has branches at Malaga Airport and in La Línea-Gibraltar, and offers the chance to hire a car at any of them and return it at another at no additional cost. Thus, you enjoy all the flexibility and convenience you need to make the most of your holidays. Once you book your car in Estepona with Espacar you can enjoy the best all-inclusive car hire on the Costa del Sol. Unlike with many other companies, the rental price you see on our website is what you pay, including everything so as to avoid surprises or hidden charges. 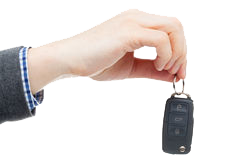 In order to collect your car, you will simply need to present your National ID or valid passport, your driving license (held for at least two years) and a valid credit card, -from which no amount will be blocked, and no deposit will be taken. You need to pay with a Visa, Mastercard or American Express card. What if I want to hire a cargo van? What can you see in Estepona? Last but not least, Estepona offers a wide variety of activities for all ages, such as diving and windsurfing, golf, theme parks like Selwo, spas and several festivals. Lastly, Estepona has 4 Blue Flag beaches: La Rada, El Cristo, Arroyo Vaquero and El Padrón. Do you need more information? Contact the Espacar team through this website.